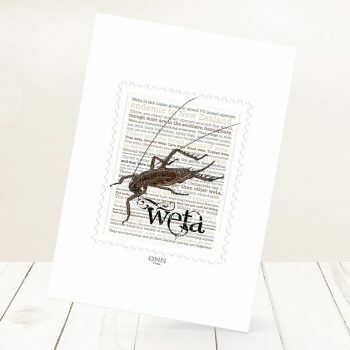 Weta is the name given to about 70 insect species endemic to New Zealand. The name comes from the Māori word ‘Wētā’ and is the same in the plural (like ‘sheep’). The Māori word for the giant weta is ‘Wētā Punga’. There are five broad groups of Weta: Tree Weta, Ground Weta, Cave Weta, Giant Weta, Tusked Weta, Tree Weta are those most commonly encountered in suburban settings in the North Island.